Shirts With Random Triangles: Second X-Men:Apocalypse Trailer Invades The Internet. Second X-Men:Apocalypse Trailer Invades The Internet. X-Men:Apocalypse poster. Image via Wikipedia. The second X-Men: Apocalypse trailer has dropped. The first trailer was posted here last December, so I suppose it means there's an obligation to post the new one. 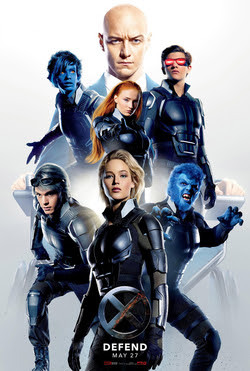 X-Men Apocalypse will open on May 26, 2016.